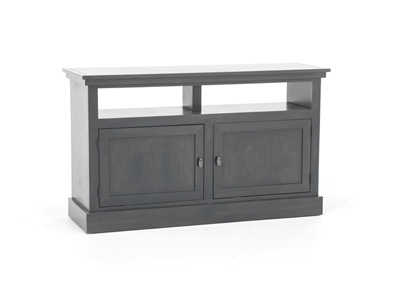 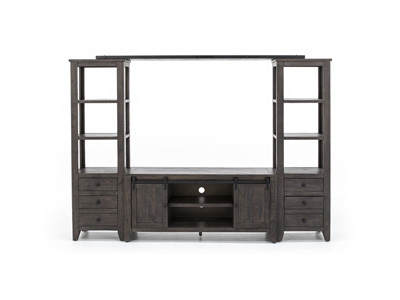 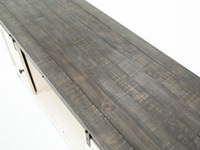 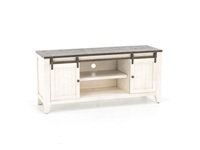 Get in on the barn door craze with this two-tone console! 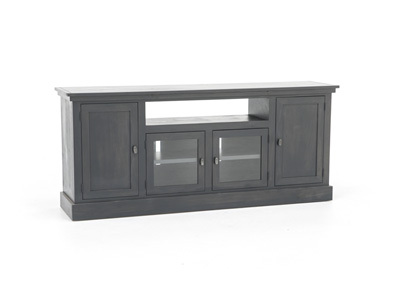 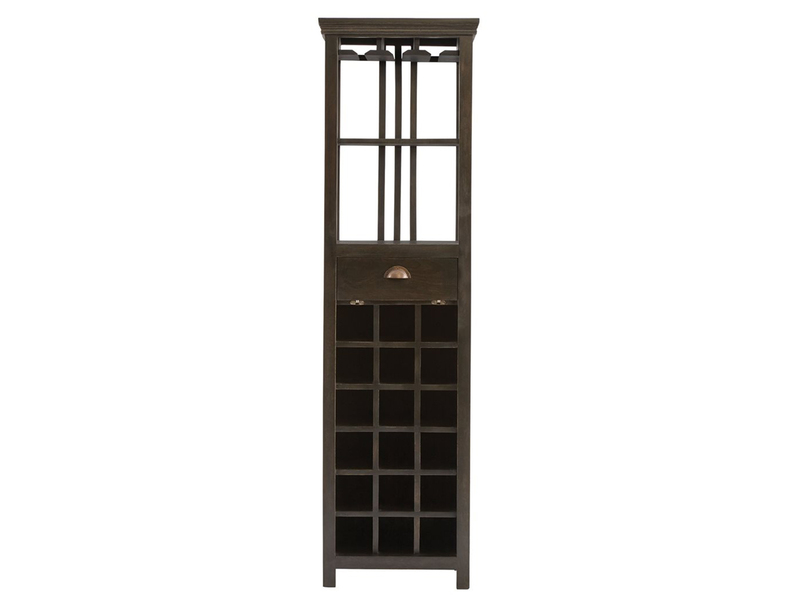 The two-tone look combining dark and light finishes gives it a casual yet sophisticated look. 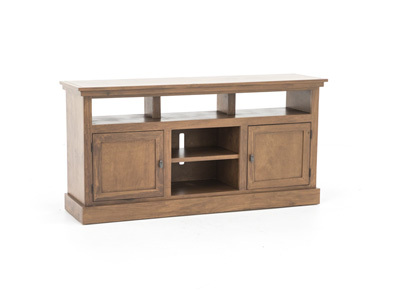 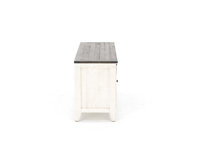 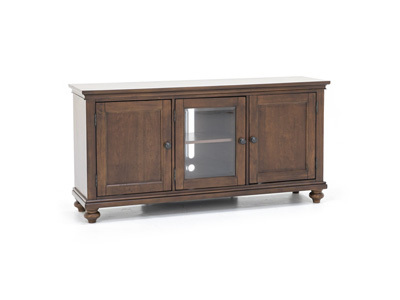 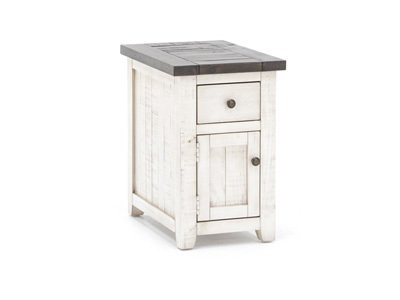 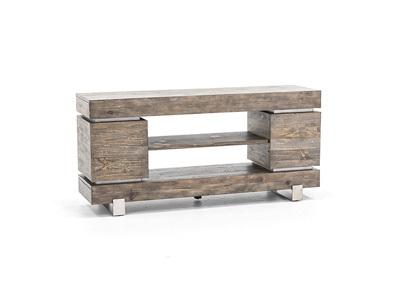 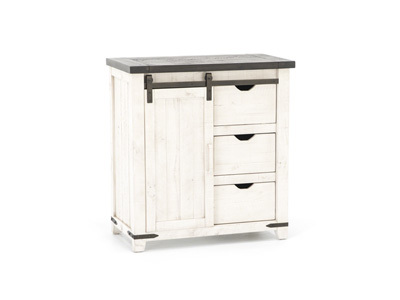 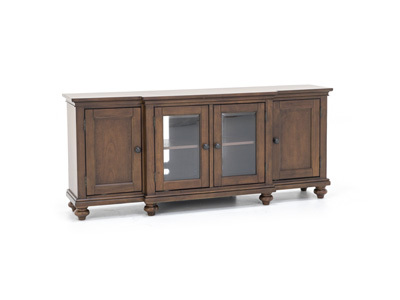 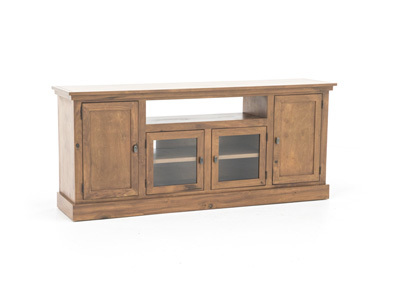 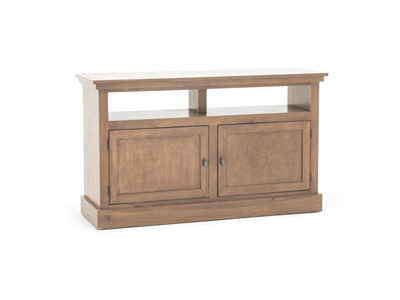 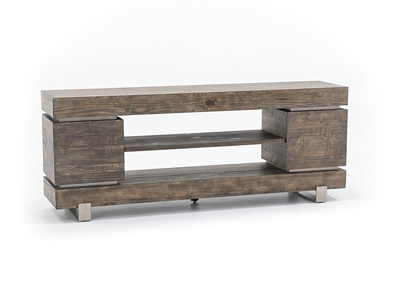 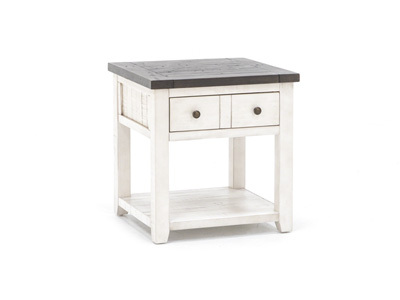 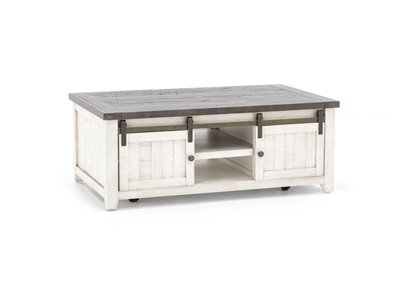 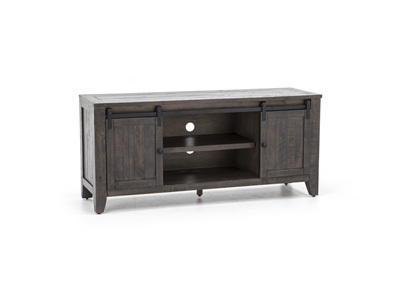 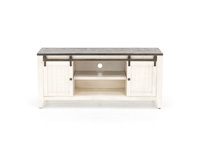 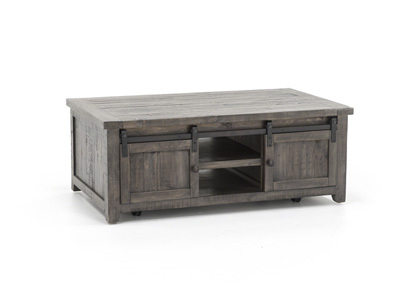 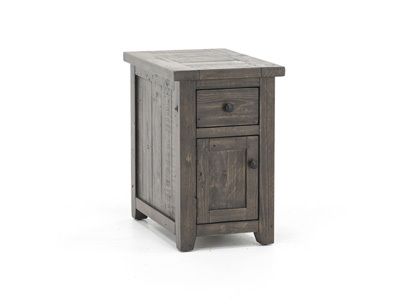 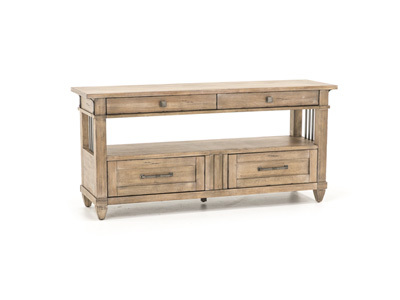 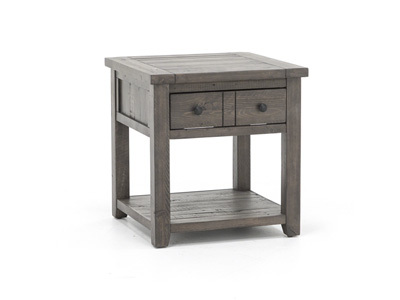 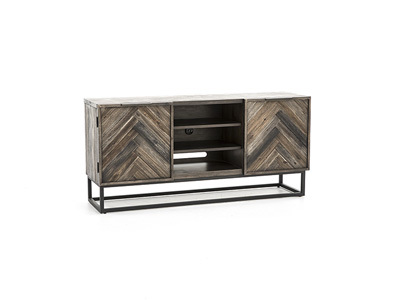 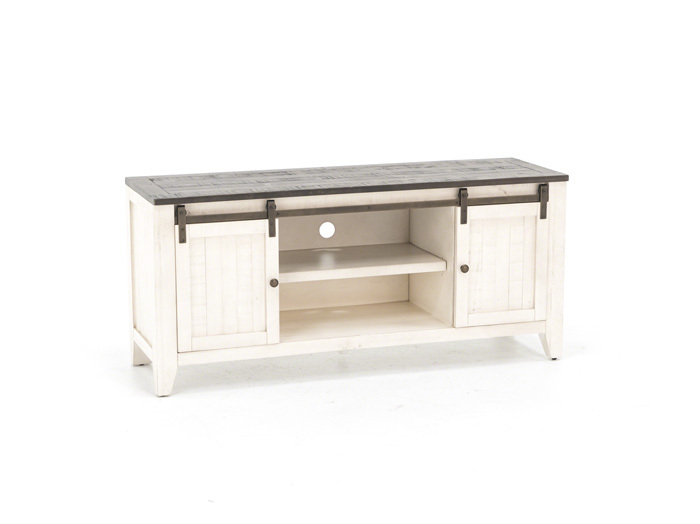 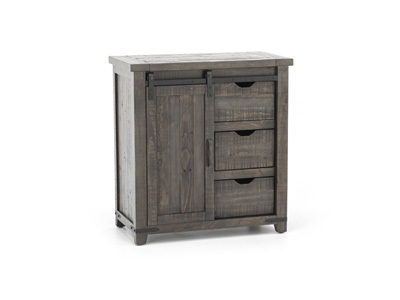 It's crafted using reclaimed pine and gliding barn door accents.